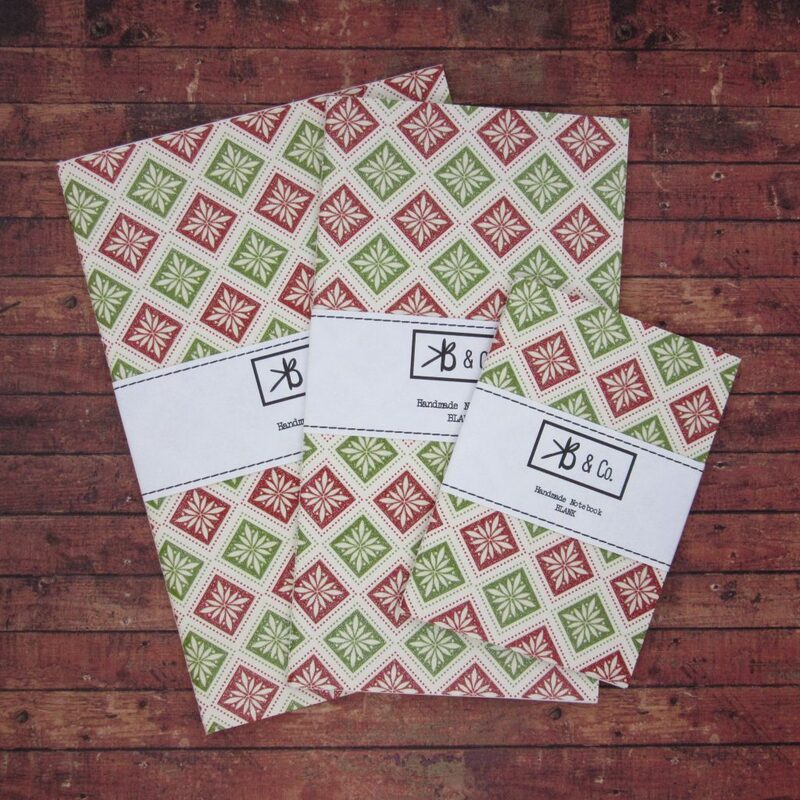 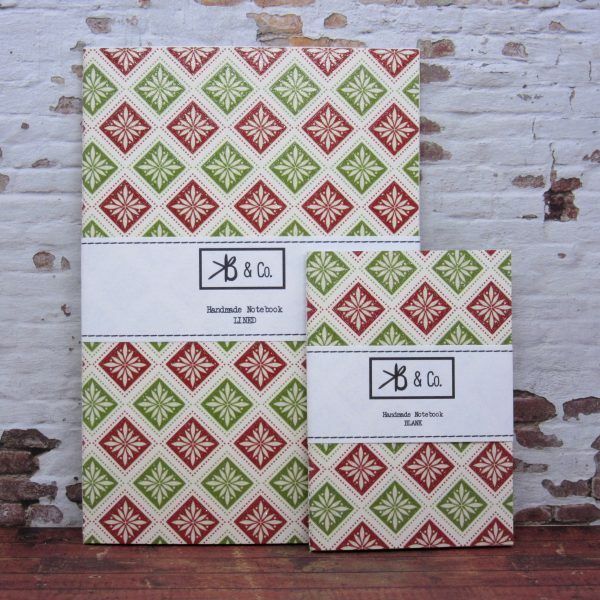 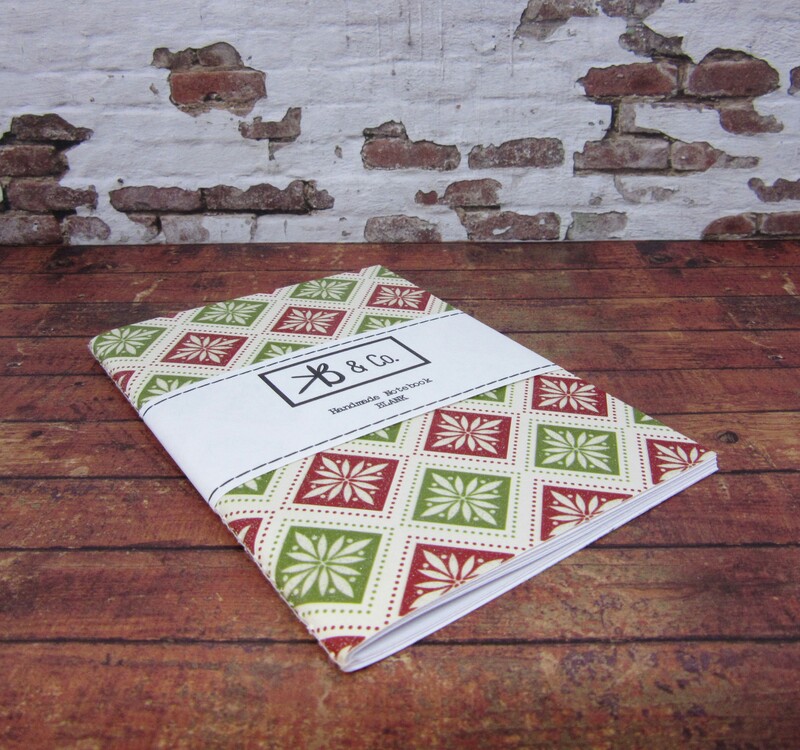 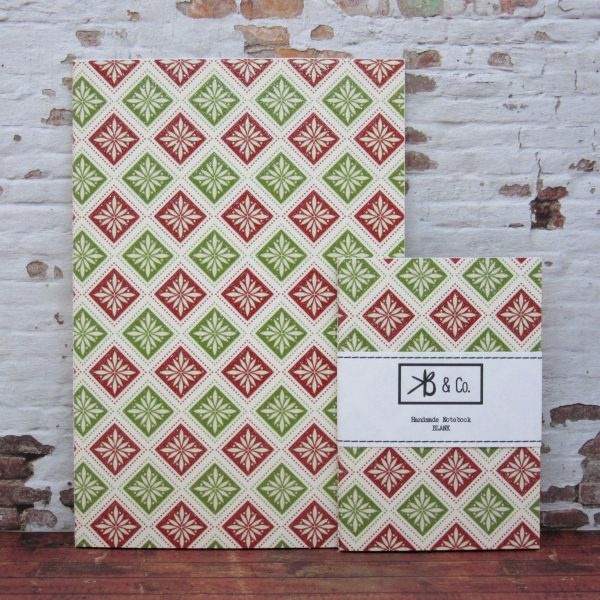 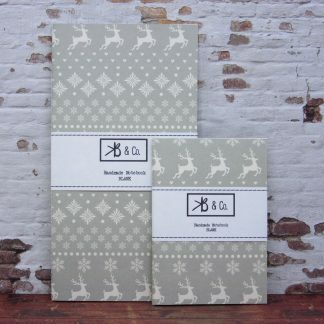 Document Christmas memories, write your Christmas lists or your letters to Santa in this handmade notebook! 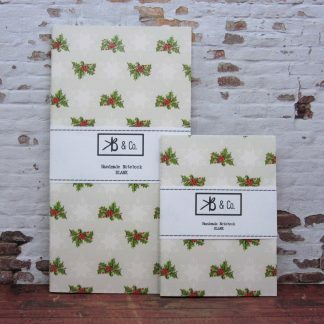 Each notebook has 40 pages (20 sheets) of bright white 100gsm paper with a festive cover, made using glittery 200gsm cardstock. 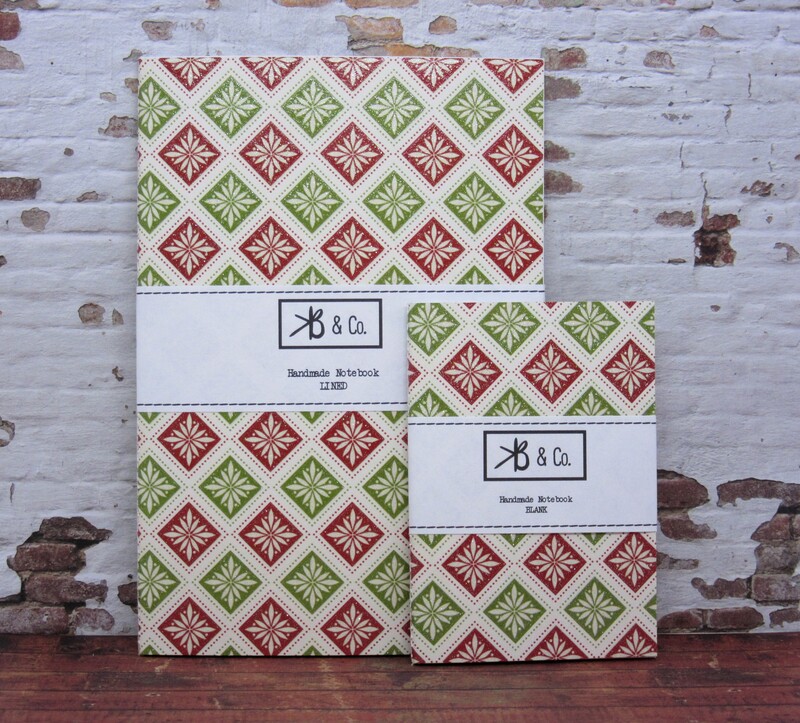 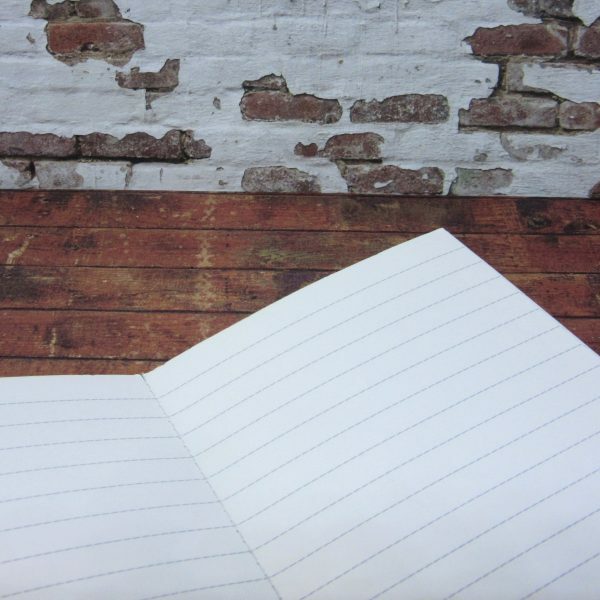 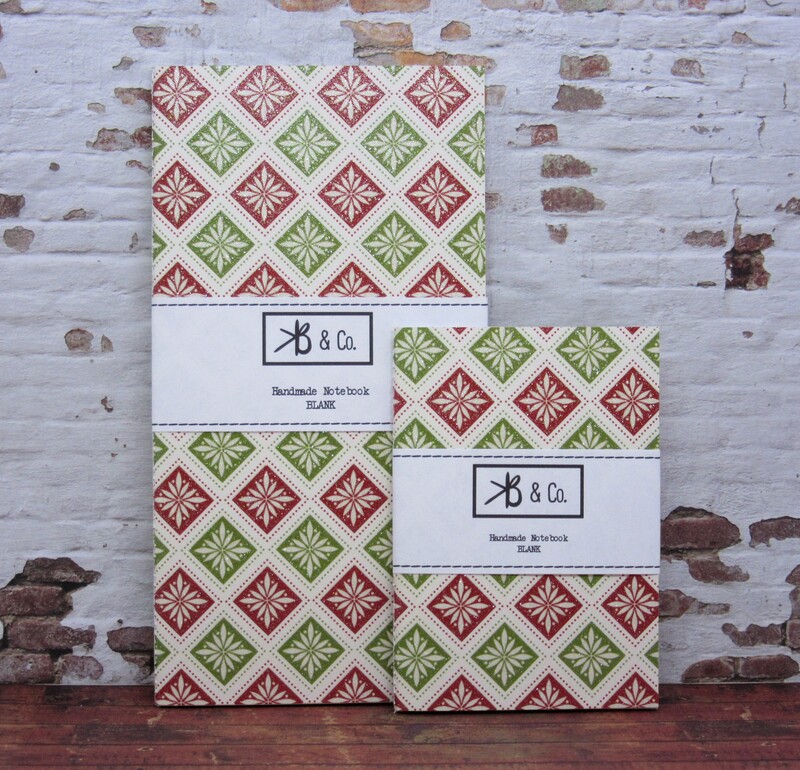 All notebook sizes available with one of 2 paper types – Blank or Lined. 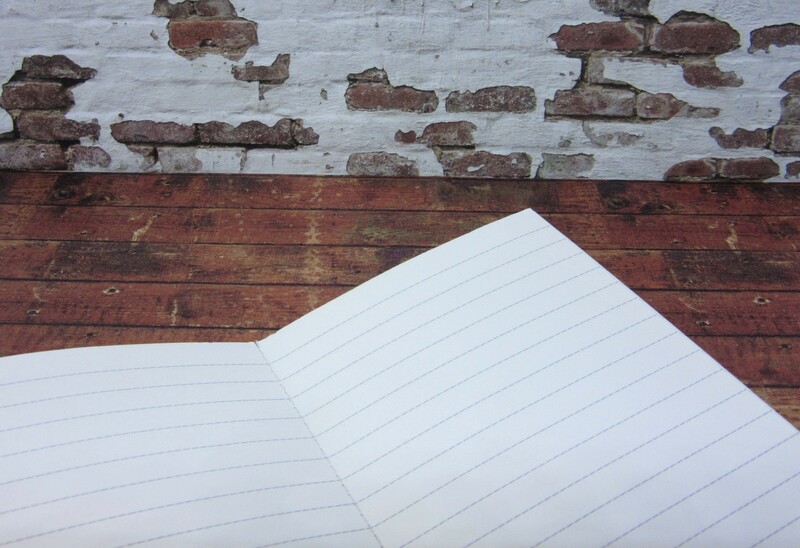 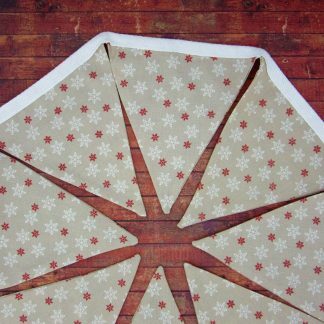 Each notebook is bound together on my 1938 Singer Sewing Machine, making it easy to tear out a page with the rest staying secure. 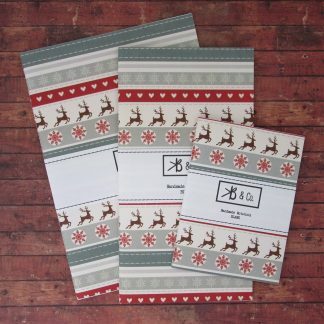 Thanks for looking and check out my shop for more handmade notebooks, with a variety of different covers and page colours, as well as more Christmas products. 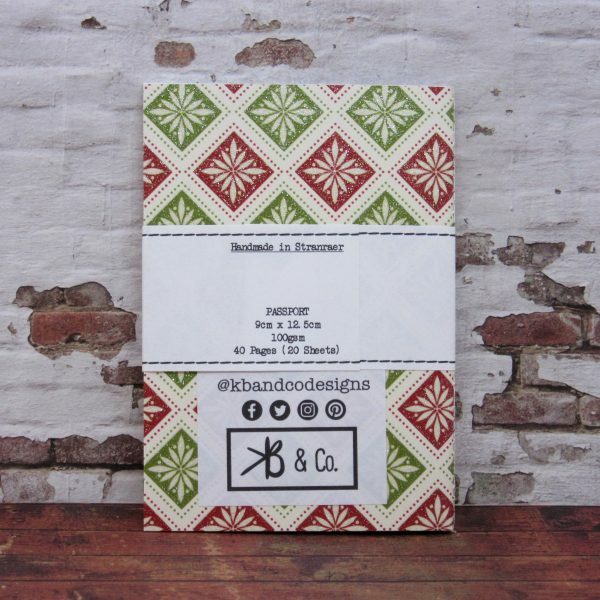 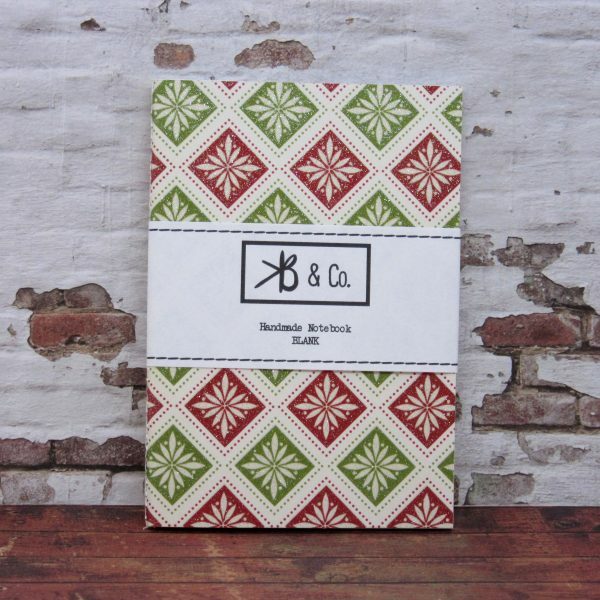 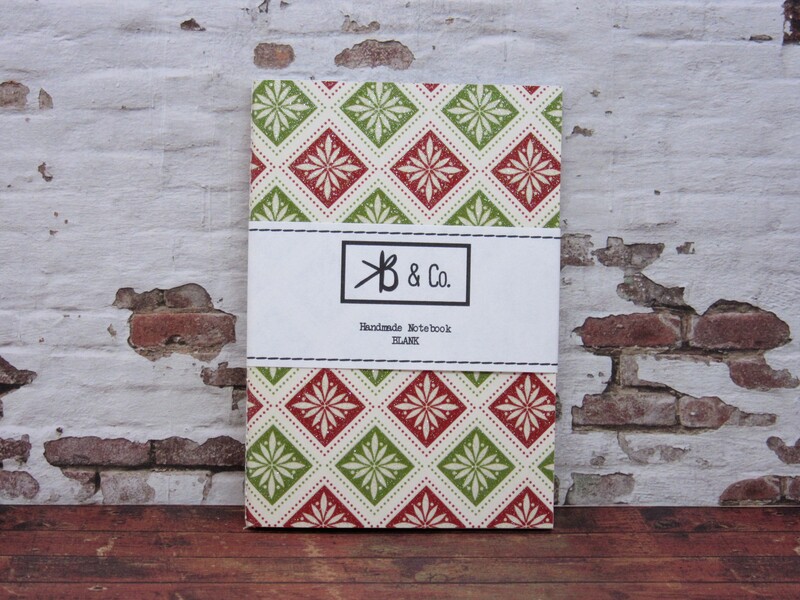 Fairisle style Notebook – Handmade Christmas Journal – Glittery Stationery – made by KB & Co.